A small group of rogue agents has given the entire industry a stigma that’s been hard to shake off. But letting agents throughout the country are working hard to turn around a reputation they've been unfairly saddled with. It’s no secret letting agents have a bad reputation. They’re often named one of the least trusted professions in the country and the general population’s ire has provoked increased regulation from the government, most recently in the form of the proposed tenant fee ban. But I speak to letting agents across the UK every day who I know go out of their way to provide their tenants and their landlords with an experience that's memorable for all the right reasons. These agents all have an opinion on why the government is cracking down on their industry. The overwhelming theme is that a small group of rogue agents has given the entire industry a stigma that’s been hard to shake off, leading to ever stricter and tighter rules. Just how bad are these rogue agents? And what are good agents doing to turn around a reputation they have unfairly been saddled with? I took a closer look at the good and bad experiences of their main stakeholders - tenants and landlords. I read through online reviews, and spoke to a few letting agents themselves to understand why they think their profession has ended up with this reputation - and what good agents are doing to challenge the stereotype. Headline-grabbing criminal behaviour or just poor communication? Let’s start with the stakeholder at the bottom of the ‘food chain’ - tenants. In my opinion, the vast majority of letting agents’ poor reputation stems from tenants, and with 11.5 million people renting privately in the UK, the sheer number of tenants give them the louder voice in a world where it’s very easy to share bad experiences online - for example, through reviews on Google, AllAgents or Trustpilot. As a tenant myself, I’ve had mixed experiences with letting agents and understand why the bad ones can cast a shadow over those who go out of their way to provide a great experience. 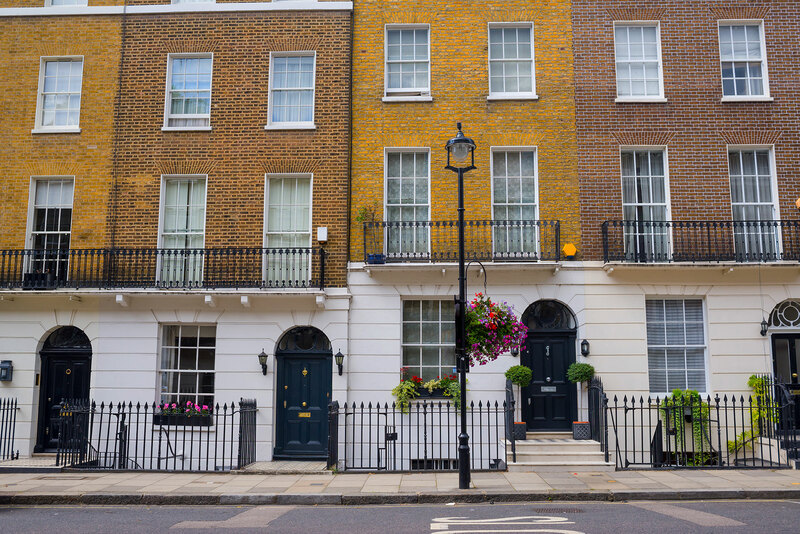 We’ve all heard horror stories about rogue agents behaving badly, like the tenant who lost £4,200 from a deposit and rent payment, leading to Carter Stones in Essex being expelled from both the redress and deposit protection schemes it belonged to. You can even hop on to the Rogue Landlord and Agent Checker, which includes letting agents who have been fined or convicted of housing offences, such as overcrowding properties, failure to carry out improvements or having the relevant safety measures in place. But while this type of headline-grabbing criminal behaviour is horrendous, it’s far from the norm, and it’s usually the finer details of tenants’ interactions with letting agents that can leave them with a negative perspective of the industry. I’ve personally had experiences of going to viewings and discovering the letting agent has lied outright in their property descriptions. I’ve dealt with agents who have poor communication, haven’t contacted me after I made numerous calls and emails, or worse, haven’t taken repair requests seriously. Most shocking of all, I once overheard a letting agent saying it didn’t matter if there were damages or not, they would always take something out of a deposit, small enough that it won’t get disputed. Being a tenant, especially for the first time, can be confusing and stressful and you’re looking to the agent to help you move into (and out of) your new home smoothly, and relying on them to ensure the small details are handled appropriately. There are, however, those letting agents who go out of their way to make sure their tenants experience is exceptional, from providing regular, unprompted updates on the status of their tenants’ applications, additional services to make the move-in process a lot smoother and actually getting to know the tenant on a personable level, offering a easy channel of communication should the tenant ever need anything. Tenants will increasingly be making their decision based on the level of service letting agents are able to provide, especially in a post-fee ban world. It will be those agents who care about the tenant experience who prevail as winners as Generation Rent’s influence grows. The next stakeholder is the letting agents’ most valuable customer - the landlord. If letting agents are providing a poor service to a client of significant value, they should seriously question their decision to even be in the industry. Despite an increasingly challenging market, where landlords are facing interest rate rises, tax relief changes and further regulation, some letting agents are still providing a subpar service to landlords, at a time when they need guidance from letting agents more than ever. The Property Ombudsman received 1079 complaints from landlords in 2017. Whilst there are horror stories like an agency in Luton being expelled for not paying £57,000 worth of rent on the 31 properties they managed for one landlord, actually, it’s the finer details of a landlord’s experience that poor letting agents trip up on. “Landlords often feel the agent fails to keep them informed of issues or doesn’t carefully explain their fees,” ombudsman Katrine Sporle told the Telegraph. “Management issues are another top cause for complaint – failing to conduct quarterly inspections or deal with repairs needed at the property. Referencing is another. Landlords sometimes feel the agent hasn’t informed them of issues disclosed during the referencing process,” says Sporle. When we spoke to Ian Crampton of Ferndown Estates in Marston Green, he pointed out the potential correlation between low fees and substandard service. “If an agent is only charging £150 or £200 to let a property there’s something distinctly wrong with that. How can you make sure you’re genuinely giving the right service to all parties for that sort of money?” Are low fees to win more landlords a justification for why service levels may not be up to scratch? Glowing online reviews from landlords are about the letting agents who not only get the basics right, but also surpass their landlords' expectations. Liberty Gate, an award-winning agency in Nottingham, is described on Google as being “a great team to deal with - fast, efficient and always helpful, even if it is for something which is outside their remit.” The Letting Game, based in Bristol, has a 5-star review on AllAgents stating they are “forward looking with a great grip on the current housing market, technical challenges and advice for landlords.” Jamie Evans of Billingham Taylor in Dudley says about 60% of their new business is a result of their online reviews and reputation. It’s clear, then, that lack of communication and not undertaking crucial elements in the lettings process is the primary cause for complaints against letting agents; whether there is a correlation between fee and service or not, the agents with the best reputation are the ones that can not only get the basics right, but offer insight and knowledge at a time when landlords need it the most. Having delved into the experiences of letting agents’ two main stakeholders, what do letting agents themselves think about the sometimes troubled reputation they have to deal with? People don’t hate letting agents, they just get frustrated when basic levels of service that they expect are not met. The horror stories certainly don’t help but it’s the fundamentals such as poor communication and lack of diligence by the few that are creating a bad reputation for the many. Some agents might have been unfairly criticised by their stakeholders when tenants and landlords might not fully understand the role of the agent. For those landlords and tenants out there who are reading this, remember, the letting agent has to balance the needs of two parties and sometimes this isn’t the easiest task. That said, it’s equally important for letting agents who might be slipping behind the mark to up their game and catch-up with those agents who are already exceeding the expectations of their customers. Smart letting agents are those who can find that tricky balance and beat their customers' expectations while still getting the basics right. Whilst tighter regulation and rules that will squeeze revenues is certainly not desirable, I personally think this very transition will cause the better agents to shine brighter and the poor agents to be forced out. And once that happens, we have an industry fit enough to suit the needs of Generation Rent and provide the services landlords and tenants want and need. Nikesh helps to keep our sales and marketing processes smooth and is passionate about transforming the way people rent. He's a keen motorsport fan and loves a great cheese joke.